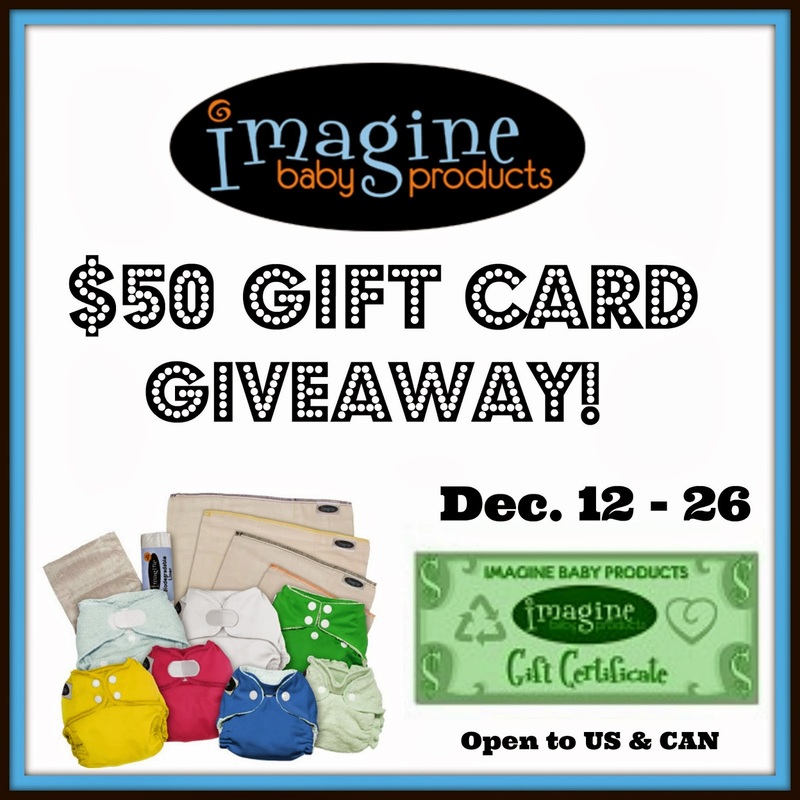 Welcome to the $50.00 Imagine Baby Gift Card Giveaway sponsored by Leettle Baby and co-hosted by Our Piece of Earth & Mama Pure! Christmas is around the corner, and if you are worried that there will not be enough fluff under the tree, you have come to the right place! 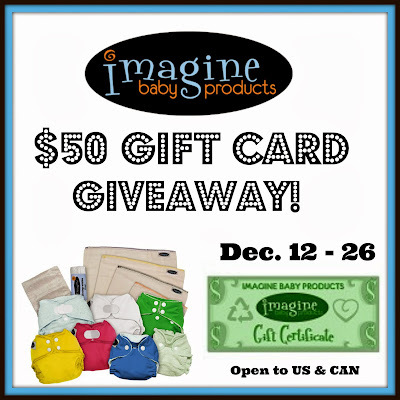 One lucky reader win a $50.00 Imagine baby gift certificate to spend on any items of his/her choice. All you need to do is enter on the Rafflecopter form below! There is one mandatory entry, but you can greatly improve your chances of winning by finding the most recent Imagine diaper prints on a few of the participating blogs. Don't worry, you will get hints on where to look! Disclosure : One winner will be chosen at random via Rafflecopter. The winner will be sent an email and will have 48 hours to respond. If no response is received within 48 hours, another winner will be chosen. Wife, Mummy, Nurse is not responsible for prize fulfillment. If you have any questions, feel free to e-mail Alanna at leettlebaby (at) yahoo (dot) com. This giveaway is in no way associated with Facebook, Twitter, Pinterest, or any other social media outlet. Page may include affiliate links. Thanks for letting me know. It should be taken care of now.